Before you can set up a call-to-action, blog post or email for a client, you need to complete a thorough website analysis. The analysis will help you understand the current state of the client’s website, and how you can better execute an inbound marketing plan. 1. Does the website run on a marketing-friendly content management system? A content management system, CMS, website is built to easily manage multiple aspects of a website, like content editing, users and design. As inbound marketers, we also want our website to be marketing-friendly, so we can add calls-to-actions, marketing automation, landing pages and more, without the need of the IT department to assist with each change. There are many marketing-friendly CMS options for websites. Two of the most popular are HubSpot and WordPress. 2. Does the client communicate a clear value proposition on the homepage? The homepage is the digital front door to a company. In those crucial seconds that a visitor is on the homepage, a clear value proposition should tell her why she should stay on the website: How is it better? What can it deliver that others can’t? Is it clear for her to see? HubSpot provides a great blog post on effective homepage layouts with clear value propositions. 3. Is the website navigation clear and intuitive? 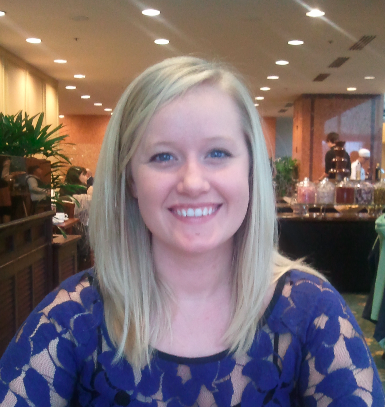 When a visitor is on the website, we want her to navigate it with ease. If she’s searching for a solution to her challenge, and it’s not easy to find, then the likelihood of staying on the website greatly decreases. The navigation shouldn’t be overcomplicated. A simple, clear navigation is best. Check out Web Design Ledger’s 30 Examples of Clean and Minimal Website Navigation for clear and intuitive navigation ideas. 4. Is the messaging throughout the website clear and attractive to the client’s buyer personas? The foundation of a solid inbound marketing plan is determining buyer personas. Text, calls-to-actions, etc. should be geared to the buyer persona you’re targeting for that product. A call-to-action for a free eBook on cat yoga poses wouldn’t appeal to the buyer persona on your tropical fish product page. Inbound marketing is all about attracting the right people for the right offerings. 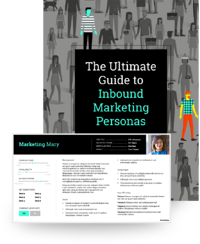 If you’d like more information on how to develop buyer personas, check out SmartBug Media’s The Ultimate Guide to Inbound Marketing Personas eBook. It’s available as a free download here. 5. How effective are the website graphics at communicating the messaging? Adding to the previous question, we want to ensure that the visual communication is as effective as the messaging. Just like messaging, we want to consider our buyer personas and how to gain and keep their interest when placing graphics. Keep in mind the demographics, challenges and offerings during your selection. If you’re advertising to a certain age group, then the graphics should relate to it. 6. Does the website utilize key inbound marketing principles? When analyzing the website, do you see blogs, calls-to-actions, landing pages and forms? Without these items, the website isn’t operating at its fullest inbound marketing potential. If you do see these items, are they being done well? A blog should be updated at minimum three times a week to be effective. There should be at least 10 landing pages, however, according to HubSpot’s 2012 Marketing Benchmarks Report, companies that increased their landing pages from 10 to 15 saw a 55 percent lead increase. And, are the landing pages and forms conveying and collecting the appropriate information? 7. Has the client optimized its website for search engines? An optimized website allows for the search engine to rank a website higher in its unpaid (or organic) search results page. The higher the ranking, the more likely a website will be clicked. In fact, 75 percent of users never search past the first page of results. When analyzing the website, we want to make sure the client is using inbound links; natural, frequent keyword phrases; and adding keywords to the meta tags, meta description and images. If you’re interested to see how your homepage is performing, check out marketinggrader.com. Enter the website's URL, and you’ll be provided a full report on how it's doing in regards to online marketing. The Marketing Grader is also a great way to check out how competitors are performing. 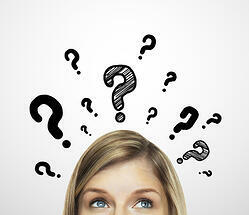 What is your biggest challenge in an inbound marketing website analysis?